After many decades of air and water pollution, citizen and fishermen groups in Kochi city initiated a movement to remove the paper pulp factory. They resorted to direct action. The factory closed down in 1972. From the Tokugawa period (1760) onward Kochi City was famous for the production of papers, and paper manufacture has been a major industry there. As time went on, the rivers of Kochi became more and more polluted by paper-manufacturing discharges, and the people, particularly the fishermen, were increasingly threatened by the problem. 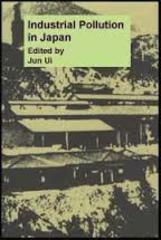 According to the excellent description in the UNU report (1992) "Industrial Pollution in Japan" edited by Jun Ui, in the 1930s a pulp-processing plant was constructed, releasing even more effluent into the environment. In 1948 a new pulp complex was proposed for the old pulp plant site. The city administration and prefectural government supported the project while the local fishermen and the citizens were against it. The site was located within city limits and the plan included no facilities for treating industrial waste. The plan meant that the river running through residential areas to Urado Bay would be thoroughly polluted and there would be sulphur dioxide air-pollution problems to contend with as well. This groundswell of opposition continued after construction of the factory had begun in January 1949. In July of the same year the anti-factory citizens' movement and the company came to an agreement in relation to pollution prevention. The agreement read in part as follows: (a) The company will assume responsibility for damage done to the environment by factory operations, and will pay compensation. (b) In order to ensure that compensations are fully paid a management committee shall be established with more than half of its membership made up of local citizens. The company will retain in the bank at all times a sum of 2,000,000 yen (about $5,500) for industrial pollution compensation purposes and this fund will be managed by the committee. (c) If pollution-related compensation amounts are paid from the said funds, the amounts withdrawn from the account for such purposes will be replaced immediately by the company. (d) If the amount of money needed for pollution compensation purposes is not covered by the amount of money in the bank and if it cannot be provided by the company, factory operations must be halted. This agreement was signed by the mayor of Kochi City and the governor of Kochi Prefecture. As it turned out, the construction of the factory was temporarily halted. Responding to an initiative from the Daio Seishi (pulp) Company of Ehime Prefecture, this neighbouring prefecture provided funds for the project and the Nishi Nippon Pulp Factory went into operation in 1951. As a result of this turn of events, the factory went from Kochi Pulp to Daio Pulp management, and in the process the viability and validity of the pollution-prevention agreement was downgraded. Citizens staging a sit-down demonstration against the construction of the plant were arrested by the police. The high quantities of sulphur dioxide that the factory emitted into the air damaged human health, and a polluted discharge into the river and Urado Bay killed all life in the aquatic environment. The company did not take any preventive steps in relation to the worsening pollution problem, nor did the governmental organs involved in the plan enforce corrective measures. On the contrary, the prefectural office announced that the results of tests on water samples yielded no evidence as to the cause of the degraded aquatic environment or to the type of damage involved. The management committee's 2 million yen fund was used as a slush fund for entertainment. From 1950 onward, the Nishi Nippon Pulp factory and its parent company Daio Pulp grew rapidly in spite of the continued suffering of the local people. For a period of ten years during which there was no waste treatment provided, the factory continued to discharge its noxious effluents into the river, and with this the Urado Bay fishing industry was compromised. In 1962 the fishermen gave up their fishing rights to the company in exchange for compensation of 100 million yen (about US$277,000). After fishing had been halted in the bay, the environment was further compromised by the operations of the company. In the 1960s, after obtaining the bay fishing rights from the fishermen, the prefectural offices reclaimed land around the bay in order to build more factories. With the exception of two or three cases, there were almost no protests by the citizens. In August 1970, when a typhoon hit the city, the people were immediately made aware of the problematic nature of the projects on the reclaimed land, because, as a result of the modifications made to the natural environment around Urado Bay, many more homes in the city and surrounding areas were flooded by the typhoon. The flooding washed accumulated pulp sludge into people's homes, and the damage was considerable. With this turn of events, a second wave of protests against the pulp factory was instituted in 1970, in concert with the many nationwide protests against pollution that were being mounted by labour unions and student movements. An environmental group in Kochi City and a group formed to protect Urado Bay initiated a movement to remove the pulp factory, or at least to ensure that the sludge discharged from it was fully treated before being dumped into the river and bay. The two groups that came together lay stress on the limits of technology - an argument never before used in the ideology of Japanese anti-pollution protest movements. However, there remained the fact that for ten years there had been no citizens' protests and that management had changed in 1960 from Kochi Pulp to Nishi Nippon Pulp. On 31 May 1971 the management decided not to negotiate with the Urado Bay Protection Citizens' group. Therefore, the four executives of the citizens' movement decided that the situation had reached crisis point and that there was only one course of action - to pour cement into the mouth of the factory effluent outlet. This action took place on 9 June, stopping factory operations for 15 hours. This form of protest was fully supported by the citizens of Kochi City, but the prefectural and city authorities panicked, and, in all the confusion and pressure that followed, were forced to ask the company either to install pollution-control equipment or to move the factory elsewhere. Kochi Pulp management was not able to meet any of these demands, and was therefore forced to close the installation in May 1972. The pollution problems generated by this one plant were stopped by the courageous action of a few individuals and by the support for that action by the citizens of Kochi City. Two of the four persons involved in the plugging of the effluent discharge outlet were prosecuted in court, but the court provided an ideal platform for the protesters, who contended that the company, in its flagrant disregard for the viability of the human environment, was guilty of a criminal action. National anti-pollution groups, environmental protection groups, and the mass media all supported the two people being tried in court, and, as a result of the efforts on their behalf, the court case ended on 31 March 1976 with the two being required to pay a fine of 50,000 yen (about $200) each. In this regard the court battle was a victory for the citizens' movement. The court struggle became the forum within which it was possible to change the structures promoting environmental destruction through united action by citizens opposed to pollution. Project Details Responding to an initiative from the Daio Seishi (pulp) Company of Ehime Prefecture, this neighbouring prefecture provided funds for the project and the Nishi Nippon Pulp Factory went into operation in 1951. The factory closed down in 1972.
recycling industries within the city’s harbour and industrial complex (which has a focus on wood, paper and related industries). Eco-Towns are planned in other formerly polluted industrial cities also. Why? Explain briefly. The direct action of citizens (stopping toxic discharges by pouring cement to block the pipes) led to a court case against the activists. The mild sentences was considered a victory. The factory closed down in 1972.